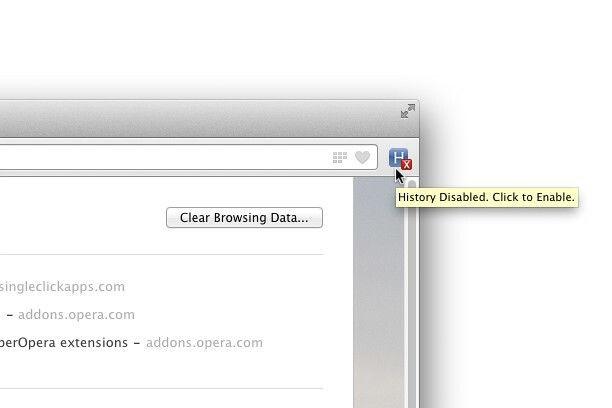 Disable browsing history and surf without leaving records. Enable it again when you want to restart history tracking.. This extension acts as simple on/off switch. Click the button and you'll turn off history. Click again and history recording will be turned back on. When history is disabled, a red "X" will be added to the toolbar button, so you'll always know if history is currently enabled or disabled. 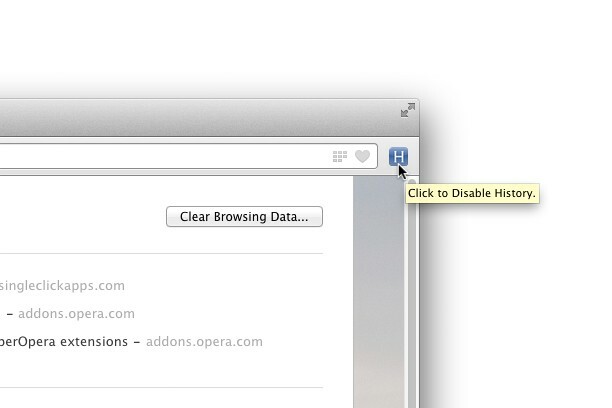 This extension will only disable history recording, but it doesn't deal with cookies, local storage, browser cache etc. In other words -- all web sites will work as always, except that your visits will not be recorded in the browser's history. Chì an leudachan seo an eachdraidh brabhsaidh agad agus is urrainn dha a h-atharrachadh. Encryption of personal correspondence in social networks.